Jamie MacDonald, Luke Hendrie, Iain Wilson, Steven Smith, Charlee Adams , Dean Hawkshaw (Adam Frizzell 51), Greg Taylor, Gary Dicker, Souleymane Coulibaly, Nathan Tyson (Jordon Jones 65), Flo Bojaj. Subs Not Used: Devlin MacKay, Will Boyle, Jonny Burn, Innes Cameron, Kris Boyd. It was cold, wet, windy and miserable. It was Maryhill - Glasgow’s answer to footballing purgatory! It was Hogmanay and an early kick off, not easy to get motivated for after a night spent in Prestwick’s finest alehouses. And, not forgetting, the twisted sisters were locked in a battle of bigotry just a few miles down the river. Yes, there were many reasons for not attending this epic encounter, including the abysmal form shown by Killie recently, yet 800 brave souls made the decision to roar on their heroes instead of queuing at Asda for crates of Prosecco and tins of shortbread imported from Eastern Europe. Killie lined up with whatever was left lying on the treatment floor - Gary Dicker slotting in at centre-half with young Ian Wilson, whilst Boyle sat on the bench. Hendrie and Taylor were in their usual full back slots. Up front, Flo Bojaj came back in from the cold to spear an attack which included Coulibally and Tyson out wide. In the engine room, Smith, Hawkshaw and Adams completed the mixed ensemble. As for Pedantic Skiffle - well, we really only needed to know that Doolan and Lawless were playing - a duo who can’t seem to stop scoring against us. After just a minute on the clock, Chris Erskine (was he in Deliverance?) powered a shot that McDonald could only parry to Lawless. His effort across goal was guided in by, you guessed it - Doolan. Thankfully, the linesman ruled that Doolan was offside and Killie escaped by the skin of their teeth, but the warning was evident that these two were in the mood. Thistle continued to dominate the early stages and Doolan brought out a fine save from McDonald after a nice turn and shot. Killie were struggling to keep the ball in midfield with Adams and Smith continually punting long balls to Bojaj and Coulibally with no effect. Hawkshaw at least tried to run with the ball and he had one decent effort saved by Thomas Cerny. Thistle won plenty of corners in the first half but the Killie rearguard performed much better than they did against Hearts during the week to keep the Jags out. Doolan had another effort saved by McDonald as the first half petered out and the weather suddenly turned a bit nastier. Killie had been poor, but again were the victims of some refereeing calamities. Kevin Clancy penalised Tyson for being fouled and then booked Adams for, well only he knows! The second half began in much the same fashion as the first half, as Thistle forced several corners. After 55 minutes, Clark had seen enough and Hawkshaw was replaced by Frizzell. The substitution changed the game as the young Killie midfielder began to drive at the Jags rearguard with more success than his predecessor and this offered the Killie wide men more space to run in behind the Thistle fullbacks. However, the final ball would just not fall at the feet of any Killie player and the score remained goalless. Lee Clark then tried another change with Jones replacing Tyson, who looked a little lethargic after suffering a head knock in the first half. A minute later a Bojaj strike was just too high and a Coulibally right footed strike was easily dealt with by Cerny. Then, Coulibaly turned his marker and was blocked at the edge of the box by two Thistle defenders. It was verging on aggravated assault by the Thistle defenders, yet ‘Calamity Clancy’ penalised Coulibally as he lay flat on his face. The Killie faithful howled their disapproval and wondered just what their players have to do to earn a penalty these days. Killie raised their game in the final few minutes with another Bojaj strike being deflected just wide. Coulibaly met the resultant corner but headed just wide. Finally, a superb left foot strike from 20 yards by Steven Smith almost won it for Ayrshire’s finest but Cerny pulled off a wonder save to earn his side a point. At the end of the day, this was a brave performance by a team that’s been decimated by injuries recently and who’ve also suffered from a lack of confidence in recent weeks. After a poor first half, Killie were by far the better team in the second half and deserved more than they got. Best for Killie were Dicker and Wilson in defence and young Frizzell in the middle. 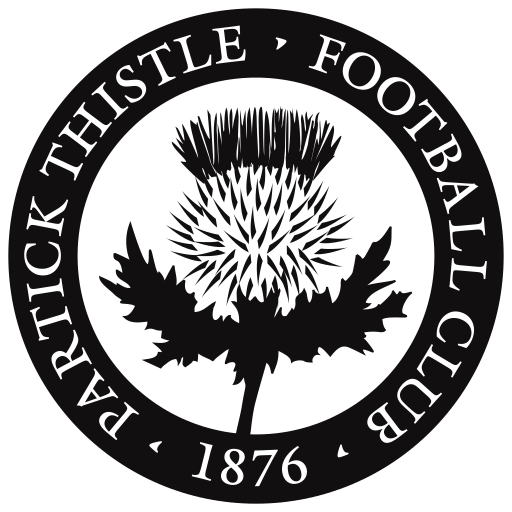 Best for Thistle were their stewards and staff who always treat fans with respect at Firhill, unlike some places you go to. It is also worth mentioning that the weather was absolutely horrendous yet every one of the players from both sides gave everything for their manager and fans. It wasn’t always pretty but neither is Scottish football in general. 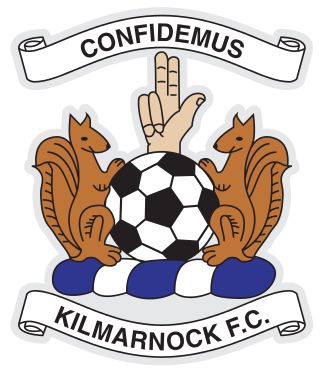 Happy New Year to every Killie fan and let’s hope for some decent first-foots at the Theatre of Pies in 2017. Lee Clark: "It was important for us to get something from the game whatever it way it came. We were very, very depleted. You seen the team we had out. We've got a centre midfield Gary Dicker playing at centre half because of his experience. We were hoping for the win, we've got a clean sheet there's always something to build on and a point away from home is always a good point."